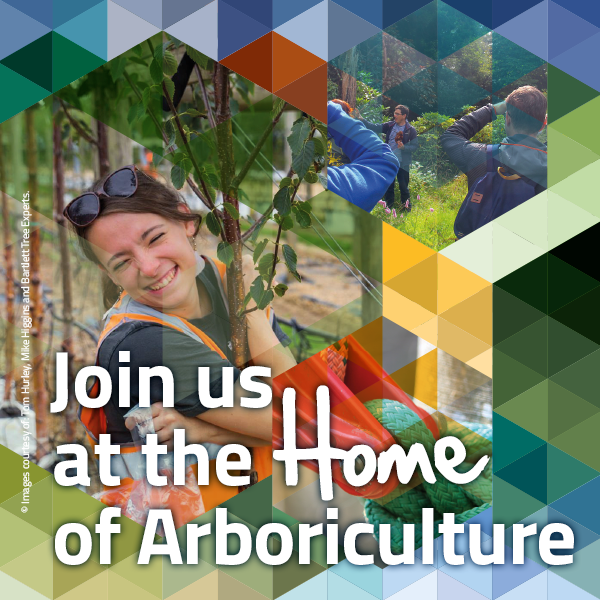 Head of the Arboretum, Gardens & Horticultural Services at the Royal Botanic Gardens, Kew, responsible for the management and curation of over 14,000 trees and the hardy herbaceous collections. He has participated and led several plant collecting expeditions to Chile and the Far East of Asia, including China, Taiwan, Japan, S. Korea and Russia. He is an author and recently published “Essential Pruning Techniques”. He featured in several television programmes raising the awareness of trees. He represents Kew on the RHS woody plant committee and awards committee, the International Dendrology Society, and is a trustee of the Yorkshire Arboretum and Tree Register of the British Isles. He lectures internationally and regularly writes articles and papers. In 2009 he was awarded the Associate of Honour by the RHS for distinguished service to horticulture and Honorary Lifetime fellow of the Arboricultural Association. Cecil Konijnendijk is a professor of urban forestry at the University of British Columbia, Vancouver, where he heads the Urban Forestry Research In Action (UFORIA) lab. Cecil’s teaching, research and public speaking focus on the role of trees and nature in cities. He is especially interested in governance and planning aspects, as well as in the social and cultural importance of urban nature. Cecil is joint editor-in-chief of the journal ‘Urban Forestry & Urban Greening‘ and has authored books such as ‘The Forest and the City: the cultural landscape of urban woodland’ and the ‘Routledge Handbook of Urban Forestry’. Urban forest canopy targets are becoming increasingly common and are in some cases driving city policies and management. Cities across the world are aiming to achieve 20, 30 or even 40% canopy cover. Using tree canopy cover as a key target for policy and management has several advantages. It can be related to a series of ecosystem services, for example in relation to climate change adaptation and stormwater regulation. The increasing use of the i-Tree model, which very recently was also adopted to Europe, is a good illustration of the links between canopy and urban forest benefits. The use of clear canopy targets can also assist in developing ambitious urban forestry programs and generate public awareness and support. Canopy targets are clear and measurable, and thus are often popular with politicians. On the negative side, however, urban forest canopy information is less useful for some urban forest benefits, for example in relation to social and cultural values. Moreover, it can lead to overly focusing on aspects of quantity, where the quality of the urban forest in terms of its functionality and resilience is at least as important. Canopy targets can also result in simplified messaging. Some decision makers are hesitant to adopt clear canopy targets as they feel this limits their flexibility. This presentation looks at the current state of the use of canopy targets in urban forest governance and management in cities across the globe. It takes a critical look at how canopy targets inform better urban forestry and provides suggestions for a more balanced use of these targets in governance, planning and management. Text BoxBryan brings over fifteen years’ experience in the environmental sector. Having qualified with a bachelor’s degree in conservation management, Bryan went on to manage habitat protection projects in the Scottish Highlands. Returning to Manchester, he began working as an Environmental Protection Officer for the Environment Agency. He returned to The University of Manchester to complete a Master’s degree in environmental modelling before moving into local authority to help develop Manchester’s sustainability and climate change strategies. At City of Trees his current focus is on modelling provision and need of ecosystem services in the urban environment, and development of green infrastructure plans. Greater Manchester’s (GM) trees are part of its critical infrastructure, essential for its future health, prosperity and resilience. The City of Trees movement has a target to plant at least 3 million trees in Greater Manchester over the next 25 years as well as bringing existing woodlands into management. This will be GM’s contribution to the Northern Forest, as featured in the Government’s 25 Year Environment Plan. A Tree and Woodland Strategy for GM will enable us to take a more strategic view of what is needed and where, to achieve a more sustainable and vibrant region in terms of climate change resilience, health, economy and biodiversity. To prepare such a strategy, it is essential that we gather more information on the trees and woods that we already have and how we can best maximise the public benefits that they provide. We also need to better understand and map out the need and opportunity to plant additional trees and woods to ensure we have the right tree interventions in the right place to deliver key ecosystem services that Greater Manchester needs including water management, improving air quality, place making and reducing environmental inequity. Between May and November 2018, data on species, mass, and condition was collected from more than 6,000 trees across Greater Manchester. City of Trees recruited and coordinated a team of 57 surveyors who visited almost 2,000 sample plots. This is thought to be the largest ever i-Tree survey carried out outside the US and is around three times the size of Greater London’s, in terms of number of plots surveyed. During this time, we also analysed a host of data relating to the types of environmental and social issues that we know trees can help us to tackle, in a way that produces a range of co-benefits. The result is a series of maps that highlight genuine opportunity to planting trees in a way that will generate the most benefits for everyone. This presentation will cover the methods used and how we are using the results to help ensure GM becomes a greener, healthier, more resilient place to live and work. Robert Northrop is the Extension Forester for the University of Florida IFAS. The focus of his work is teaching professionals urban forestry and conservation science; providing conservation planning assistance to local, state and federal governments; and research into the changing character and ecological function of the urban and urbanizing forests within the Tampa Bay Watershed. Prior to working in Florida he worked for to the Office of the Governor (Maryland) on forest and wildlife policy; and taught wildlife management and the human dimensions of conservation at the University of Delaware. The ecosystem services provided by healthy and well-managed urban forests are far-reaching and extensively documented (e.g. Nowak and Dwyer, 2007; Kuo, 2003; Bell et al., 2008). These multitude of services are primarily associated with tree canopy cover, distribution and volume. Since 2004, the University of Florida IFAS and University of South Florida have investigated an array of tree canopy assessment methods and mitigation strategies in the City of Tampa FL, USA to support sustainable management. Historic analysis of readily available thirty meter satellite images (30 meter) was undertaken to map tree canopy cover and identify trends during the past four decades (Landry et al. 2016). Black-and-white aerial photos are now being digitized to identify even longer trends (60 years). Detailed canopy assessments are conducted every five years, in accordance with Tampa’s urban forest plan (Northrop et al. 2013). For these assessments, tree cover distribution is estimated (92%) through classification of high-resolution imagery. An independent dot-based change analysis method (Nowak et al. 1996) using 4,000 randomly selected points is used to estimate total canopy change (95%). The maps and data produced by these three methods are used to assist with development and monitoring of urban tree policies. Field level canopy estimates using iTree methodology were found to be inaccurate. These assessment tools now allow the City of Tampa to require the mitigation of urban tree canopy loss within 5 years of removal, based upon crown volume calculations (Leaf area). Tampa’s tree matrix of optimal (tree) bio-physical site characteristics is used to identify specific locations for planting within the planning or ecological zone which lost the tree. This achieves a mitigation of cover, volume and distribution. The presentation will introduce the project, interim outcomes, and a detailed discussion of assessments and their uses in management urban tree canopy. Anecdotally, urban canopy cover is decreasing across the UK but there is little evidence to support this widely held belief. Indeed, one study conducted in late 2018 using a rapid quantification approach found no change in urban canopy cover across GB relative to five years previous. A baselining of tree cover in 265 English towns and cities, and seven Scottish cities was presented at the Trees, People and Build Environment 3 conference in 2017. Many have subsequently questioned when a re-run can be performed to give an indication of change. However, sensitivity in canopy assessment techniques of approximately +/-2% means that a sizeable canopy cover change is required before a change can be confirmed with a sensible degree statistical confidence. There is, therefore, little reason to rush to repeat the city-wide studies. This paper takes an historical as well as an intra-city perspective to stimulate a reflection on urban canopy cover change. Firstly, data is presented from an analysis of historical APs (aerial photographs) to present evidence and provide a flavour for how canopy cover has changed for a range of UK case study towns and cities over recent decades. Secondly, data from a (still relatively) new citizen science project to assess urban canopy cover at ward level is presented. The data adds to the 2017 study to reveal (dis-)equity in canopy coverage across several UK towns and cities, and to highlight areas in need of targeted planting intervention. The presentation will also highlight the valuable role of citizen scientists in providing meaningful data to complement urban forest management, demonstrate just how easy the data is to acquire and – therefore – stimulate greater involvement in mapping canopy cover for every urban ward in the UK. Luke is a Fellow of the Arboricultural Association and a Chartered Arboriculturist. He has been studying trees and working with, them since 1984. Luke Steer was awarded a National Diploma in Arboriculture from Merrist Wood College in 1989. In 1998 he graduated with an honours degree in Arboriculture and Amenity Forestry from the Forestry Department of the University of Aberdeen. In 1999 he passed the Royal Forestry Society’s Professional Diploma in Arboriculture. In 2001 he passed the final examination of the Institute of Chartered Foresters and become a member of that institute in January 2002. In 2001 his application to become a Fellow of the Arboricultural Association was assessed to fulfil all the necessary requirements and he became a Fellow of the association later that year. Luke lives in the Lake District and enjoys wandering in the fells. He has a keen interest in Lake District landscape ecology, particularly upland wood-pastures. hydraulically: root activity, including the activity of their associated mycorrhizal fungi, is in balance with the soil and the tree’s moisture requirements. The balances listed above are achieved through a combination of the efficient use of available resources and an internal feedback system provided by plant growth hormones triggered by internal and external conditions. The ‘balance’ formed by a tree between its different parts will depend to a certain extent on its genetic makeup and the environmental factors it experiences: location and weather. For instance, a tree growing in a dry sandy soil will allocate resources to grow proportionately more roots per unit of foliage than the same species in a moist loam soil. The limiting growth factor: light, water or mineral nutrient(s); will promote the growth of the tree part that obtains that limiting factor from its environment. Mattheck (1994) describes healthy trees as being ‘self optimising mechanical structures’. That means that each tree part is mechanically as strong as it needs to be to withstand ‘normal’ mechanical stresses – no part is excessively over engineered or insufficiently strong enough. Trees achieve this by allocating resources to grow additional tissue where required for function and mechanical strength. In ‘good’ years healthy trees synthesise large amounts of carbohydrate which is used to fuel the maintenance respiration of existing live cells, and to grow additional tissues – roots, twigs, foliage, sapwood, bark, flowers and fruit etc. Healthy trees are also able to use carbohydrate and mineral nutrients to synthesise defensive substances. Dr. Duncan Slater is a senior Lecturer in Arboriculture at Myerscough College, Lancashire. Duncan is the tutor for the MSc in Arboriculture and Urban Forestry online course, run at Myerscough College and validated by the University of Central Lancashire. Duncan currently holds five separate university degrees, including a PhD in Plant Sciences from the University of Manchester and a recently completed Master’s degree in Education. Duncan’s PhD focussed on the anatomy and biomechanics of branch junctions in woody plants. Since the initial identification of a strong relationship between bark-included junctions in trees and the presence of natural braces set above them (in 2016), research has continued at Myerscough College on a number of aspects of branch anatomy, failure potential, differences between the mechanical performance of natural brace types and differences in natural bracing in tree species and cultivars. This talk will introduce the audience to a fourth type of reaction wood. Currently, three types of reaction wood are recognised to form in woody plants: compression wood, flexure wood and tension wood. Through x-ray analysis and experiment, a fourth reaction wood is identified that is formed in the axil of a branch junction (the centre of the join), which has been named ‘axillary wood’. The assessment of a branch junction, particularly those with a high diameter ratio, needs to concentrate on the extent of axillary wood production, its position and condition. The effects of natural bracing are important for those assessing trees, specifying or carrying out tree work, and this research explains why some bark inclusions are persistent in the structures of trees. Previous advice to arborists on bark-included junctions has emphasised that those with large bulges associated with them are more prone to failure. In our most recent experiment, we have generated data by modelling to determine if this previous advice was of use in the assessment of bark inclusions. The outcome of this experiment will be shared with the conference, along with several other papers and research projects. Dr Ana Pérez-Sierra has more than 20 years of experience in plant pathology (agriculture, horticulture and forestry). From 1995 to 2003, she worked as a plant pathologist at the Royal Horticultural Society, Wisley Gardens. From 2004 to 2013, she was the coordinator of the Spanish Reference Laboratory for the Identification of Plant Pathogenic Fungi under the authority of Spanish Ministry of Agriculture, Food and Rural Environment. Since 2013 when she joined Forest Research she has been actively involved in developing early warning systems for the detection of tree pests and diseases in Britain. During the last five years we have been actively working at the Tree Health Diagnostic & Advisory Service at Forest Research on the early detection of P&D that might be a threat to the health of trees in Britain. We developed TreeAlert to facilitate the reporting of P&D in the country and we have a team of pathologists and entomologists investigating the cause of ill-health in trees. The submitted reports have allowed us to gather information on the health of trees and the main issues encountered. It has also allowed us to monitor the spread of recently introduced P&D. An overview will be presented showing the top ten pests and diseases reported along with some of the most interesting cases encountered. These will include the recently detection of quarantine pests and pathogens such as chestnut blight (Cryphonectria parasitica) and pests and pathogens detected for the first time in the UK. Jon Banks is a researcher for the Bartlett Tree Expert Company Ltd. He has been involved in Bartlett research and diagnostics at the University of Reading since 2010. He was awarded the Gatsby Summer Bursary for his undergraduate research on plant stress mitigation and the R. F. Addey Memorial Prize for Horticulture. He is vice chair of the Research Advisory Committee for the charity Fund4Trees and a member of the London Tree Officer’s Associations Biosecurity Working Party. He has presented his research at numerous conferences including two presentations at the International Urban Tree Diversity Conference in Alnarp, Sweden and a keynote address at the 2018 Myerscough research conference; in addition, he chaired the tree health session at the Arboriculture Associations annual conference in 2016. He has also managed the unmanned aerial division, coined TB7, which was licenced by the civil aviation authority for two years. He recently completed his PhD assessing drought and variation in drought tolerance within the Acer genus. His role now includes managing the Bartlett research and diagnostic laboratory; keeping Bartlett representatives informed and updated of recent developments in tree pests and diseases, management and maintenance. Tree health and vitality influences a wide range of physiological processes including pest/disease susceptibility and water stress resilience. Dr Banks will introduce the concept of tree vitality and how it can relate to pest and disease resilience, as well as tree establishment and survival within the landscape. A range of options for monitoring tree vitality, including chlorophyll fluorescence/the Arborcheck system will be discussed using ‘real life’ case studies from diagnostic field work and ongoing research trials. Dr Banks will explain how measuring tree vitality is of benefit to those managing trees. The future potential of this stress detection technology will also be discussed.